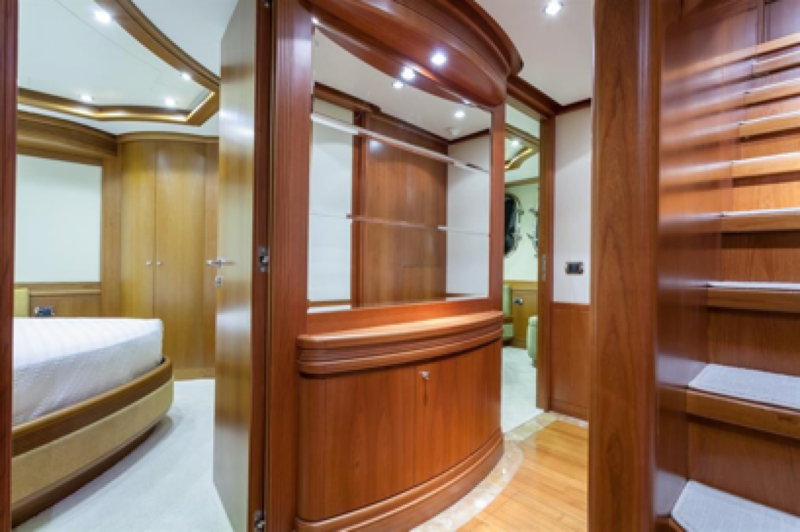 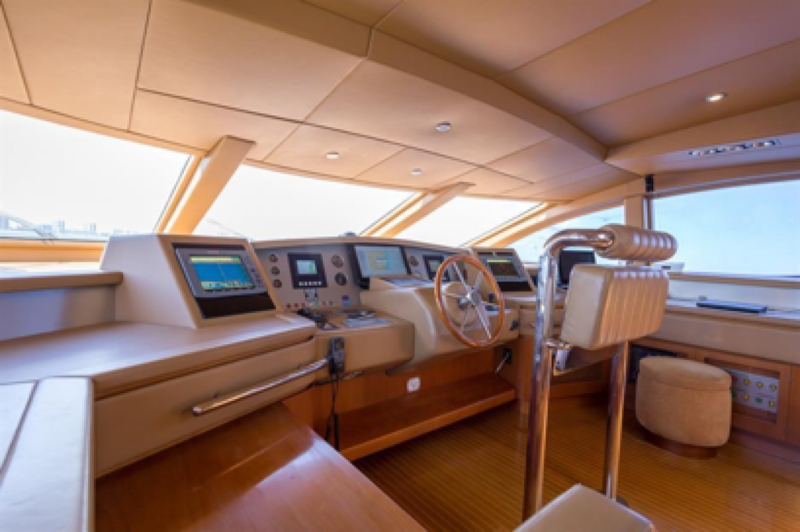 Built in GRP by Italian yard Azimut Happy Hour was delivered in 2004 as an Azimut Grande model and has been continually updated including a refit in 2014. 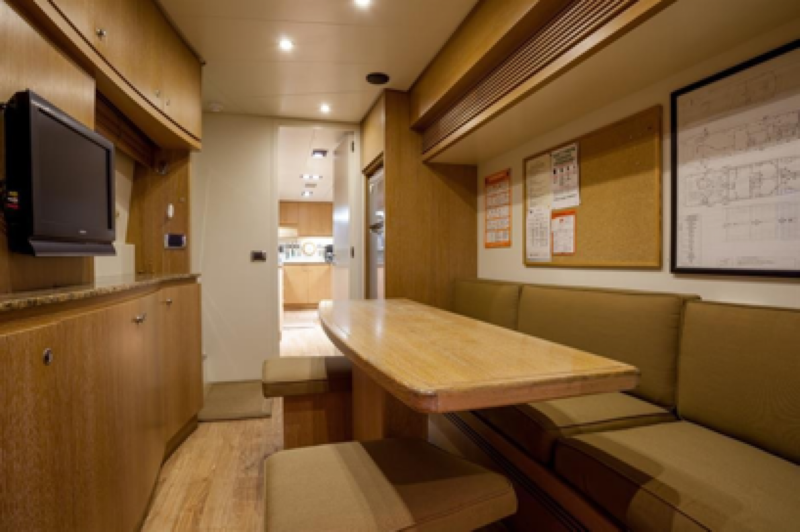 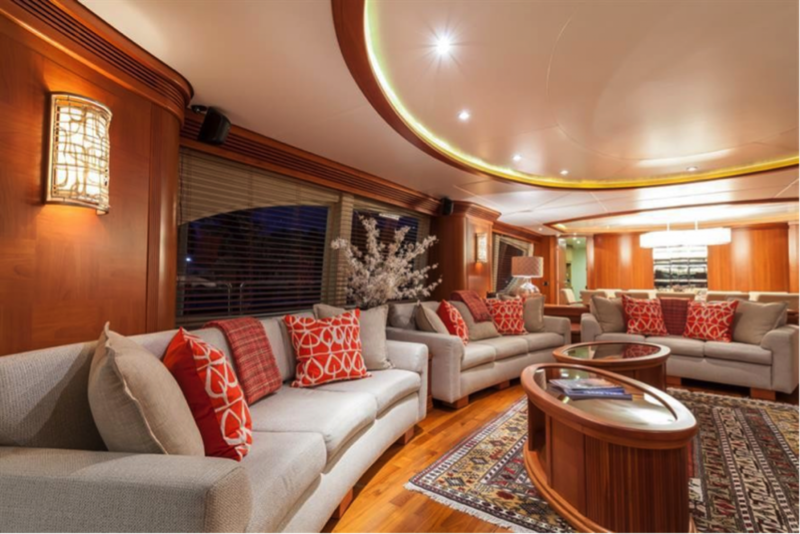 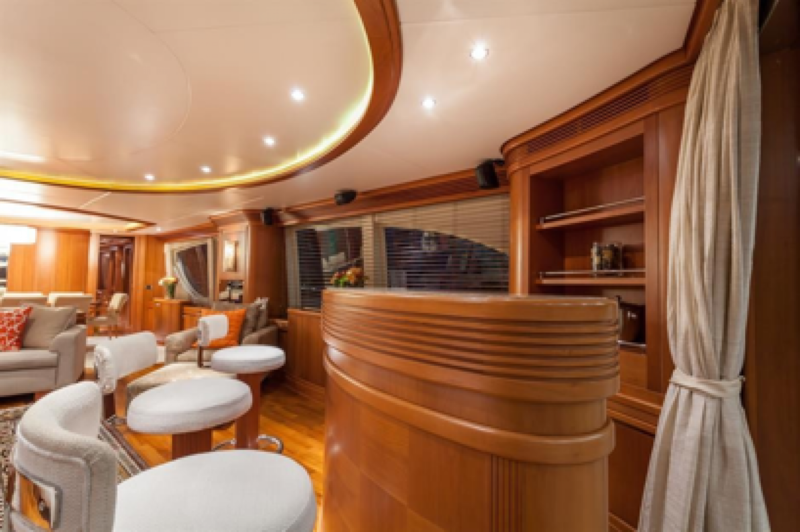 Her generous main saloon has a bar to port with three bar stools, a fridge and ice maker, and there is comfortable seating around two coffee tables. 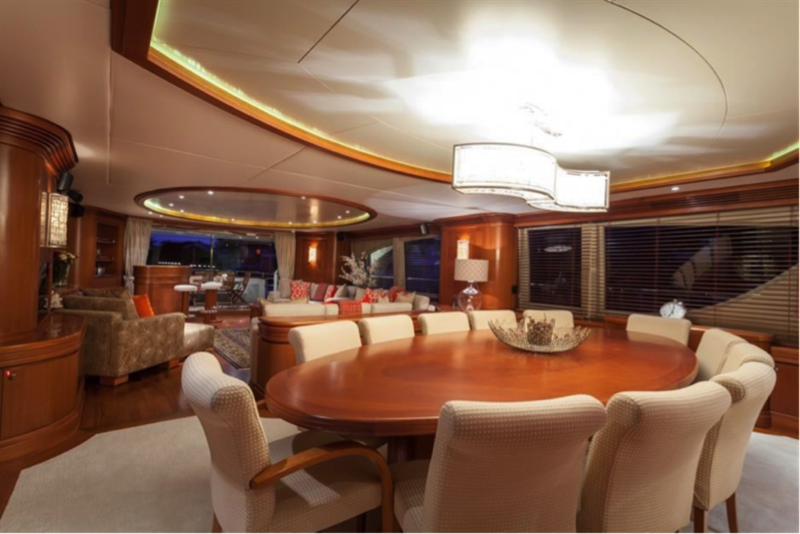 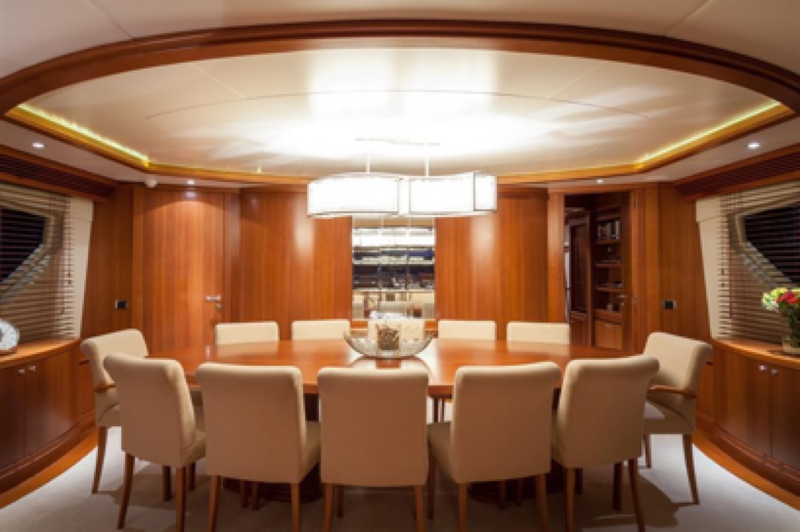 Forward is a formal dining area with seating for up to 12 guests. 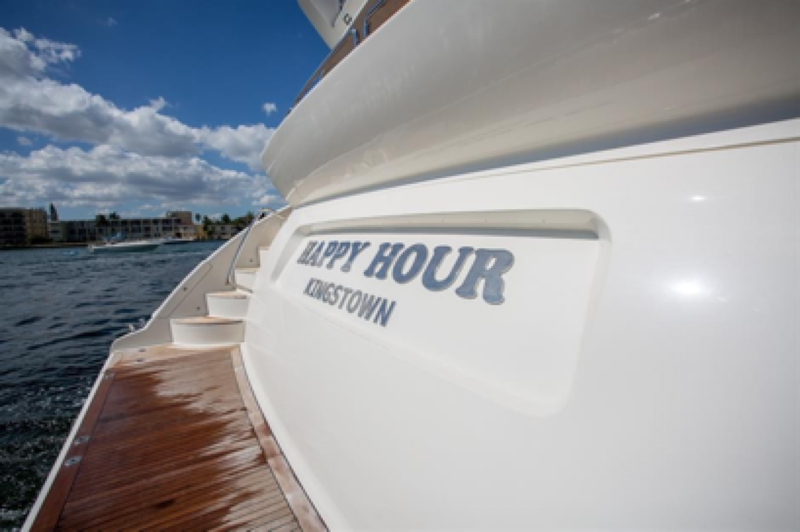 Accommodation on Happy Hour is for 10 guests in five cabins. 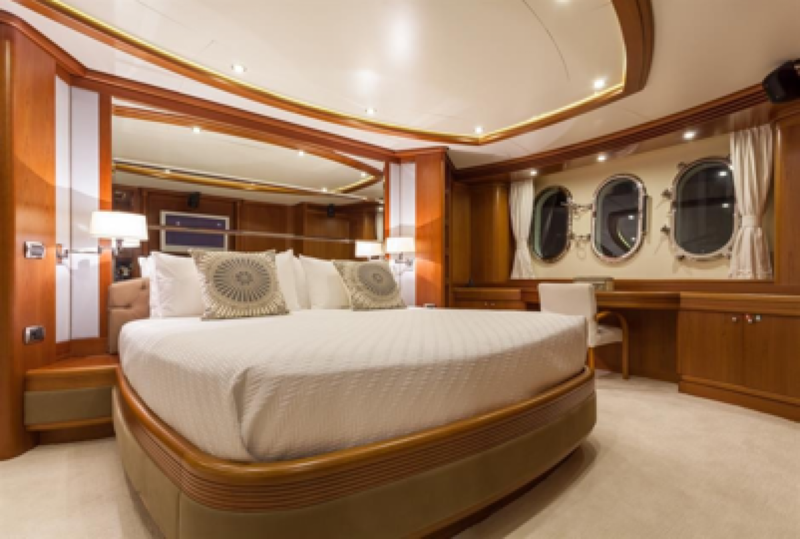 The VIP suite is on the main deck and has a king sized bed and a 42 inch LCD television. 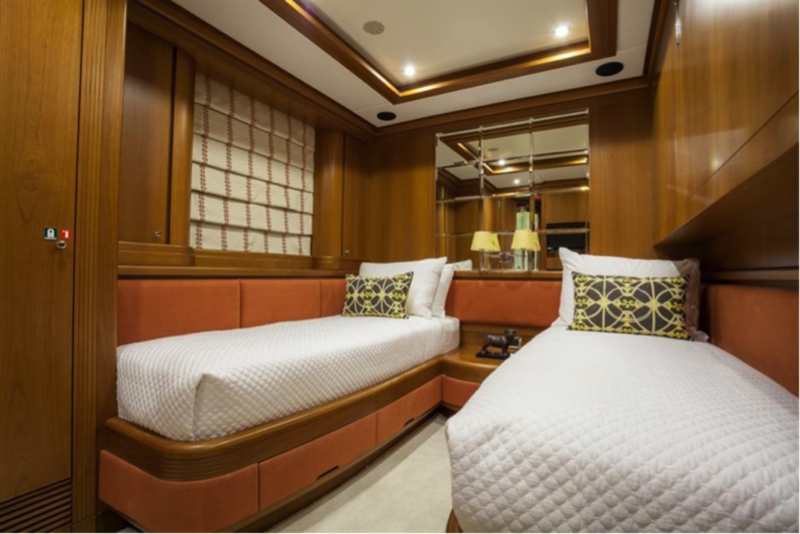 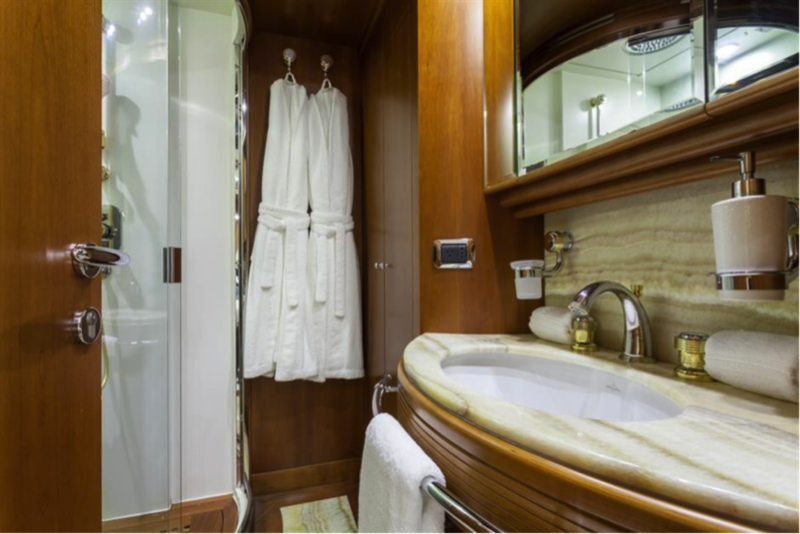 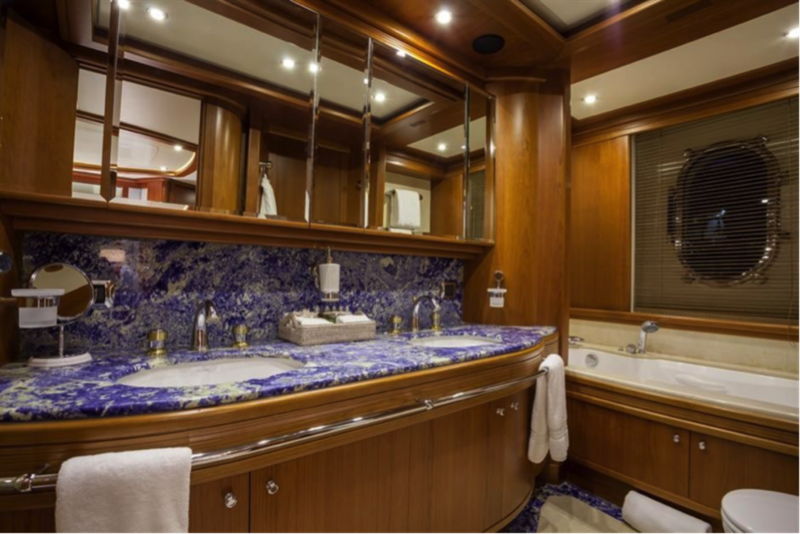 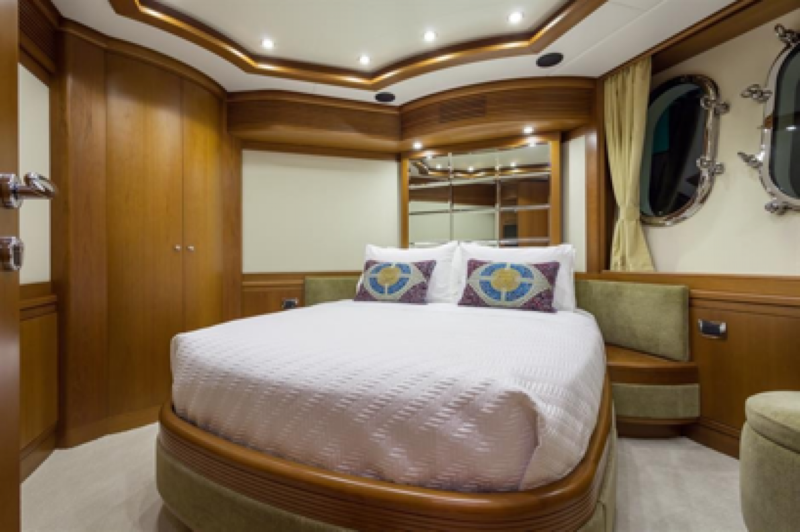 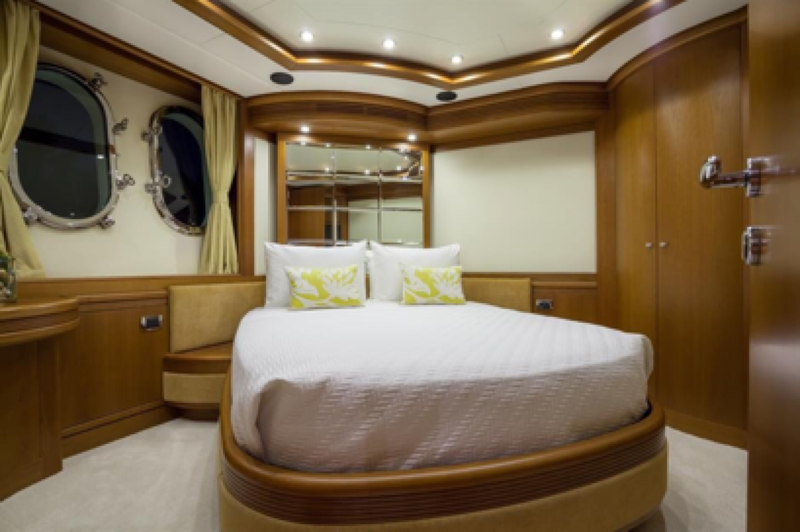 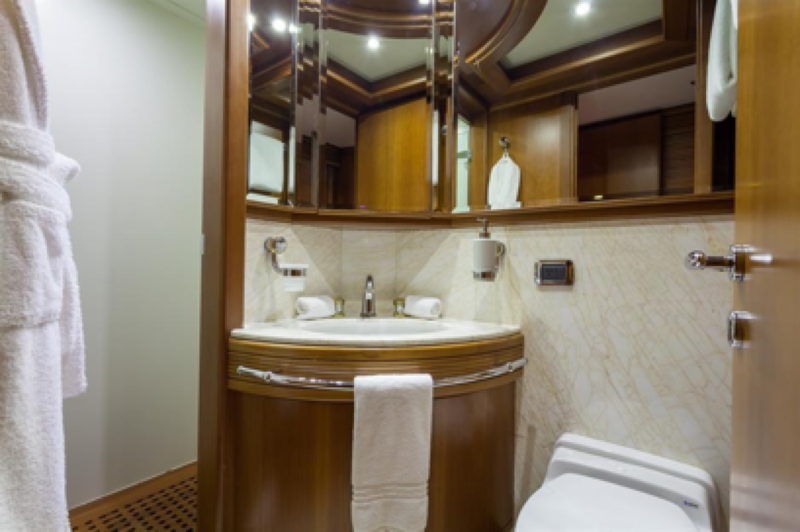 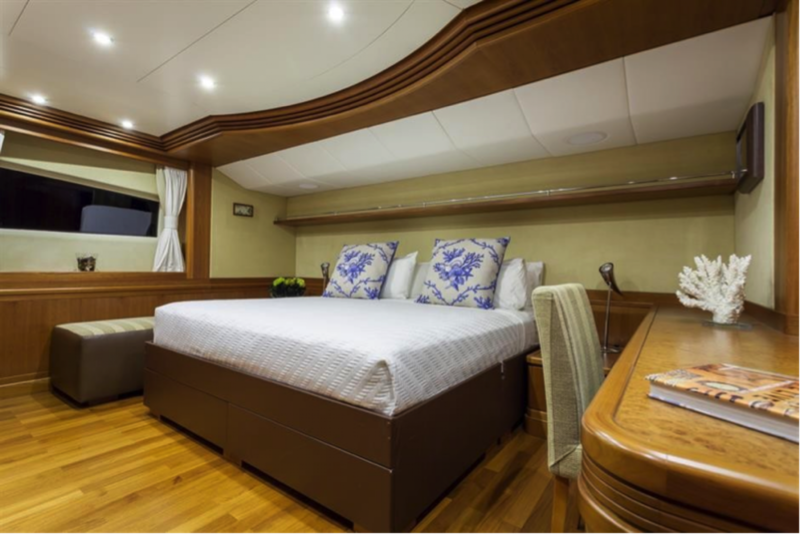 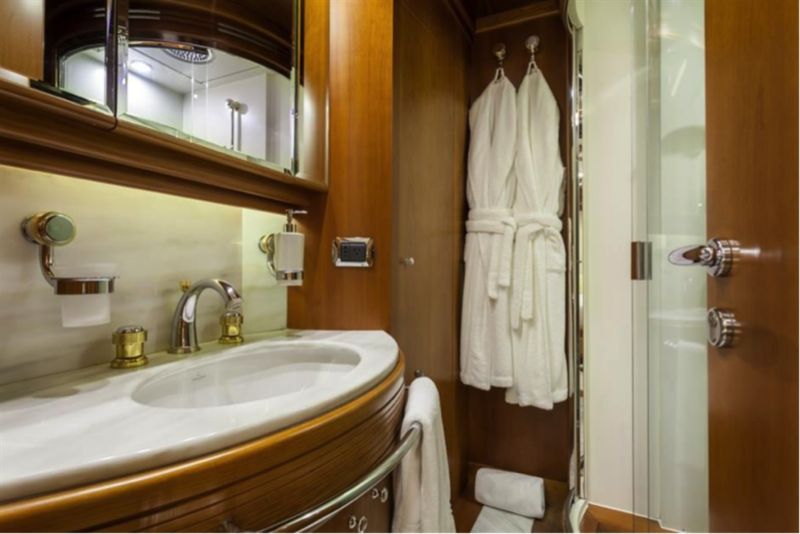 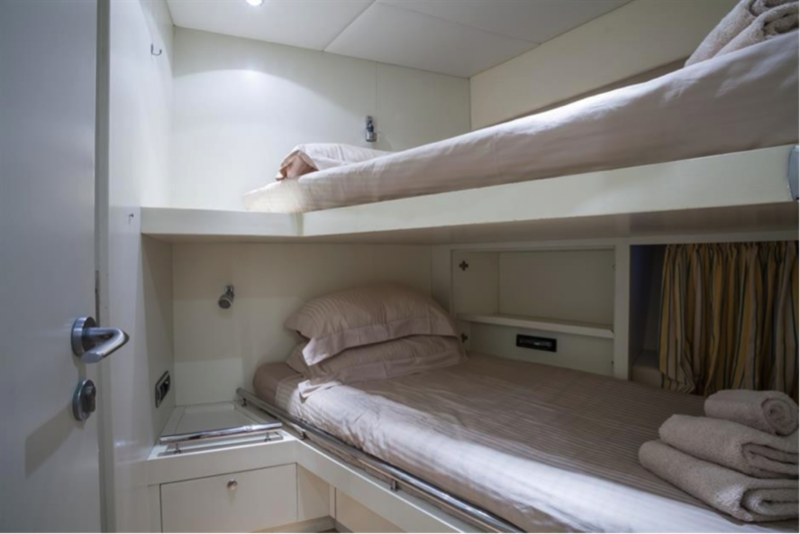 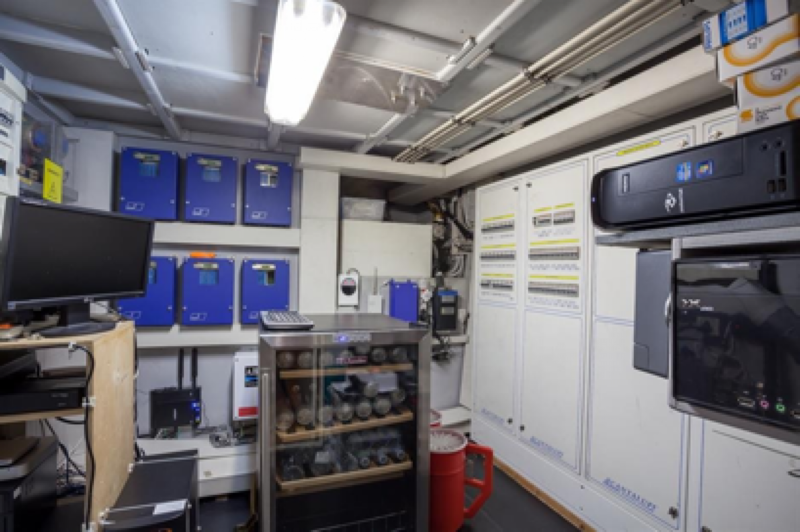 The master suite is located below deck and comes with a king sized bed and 32 inch LCD television while there are also two double cabins with queen sized beds and 13 inch LCD televisions. 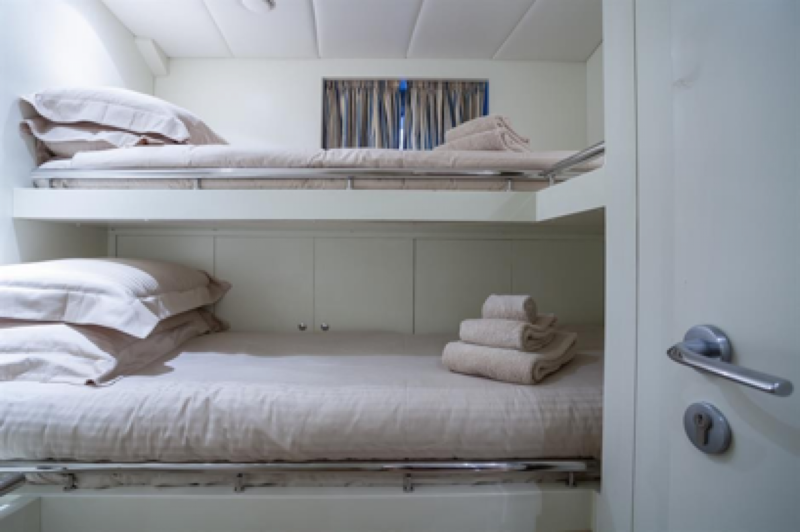 The accommodation layout is completed by a twin cabin with a Pullman berth and a 13 inch LCD television. 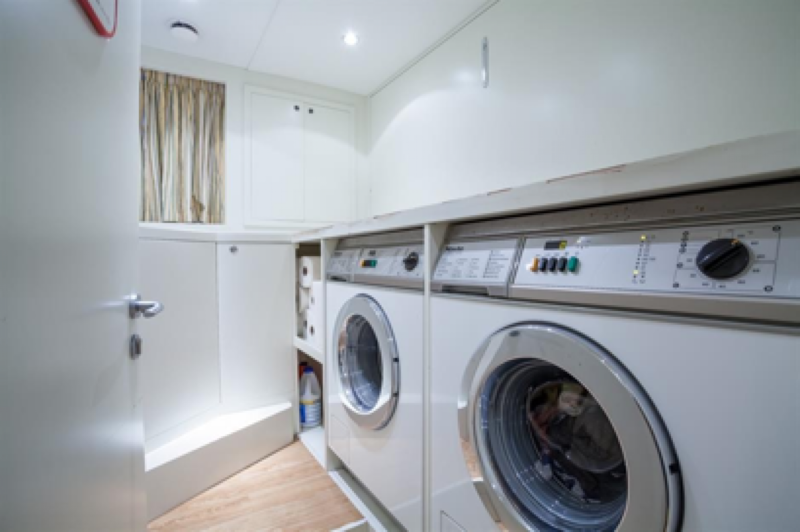 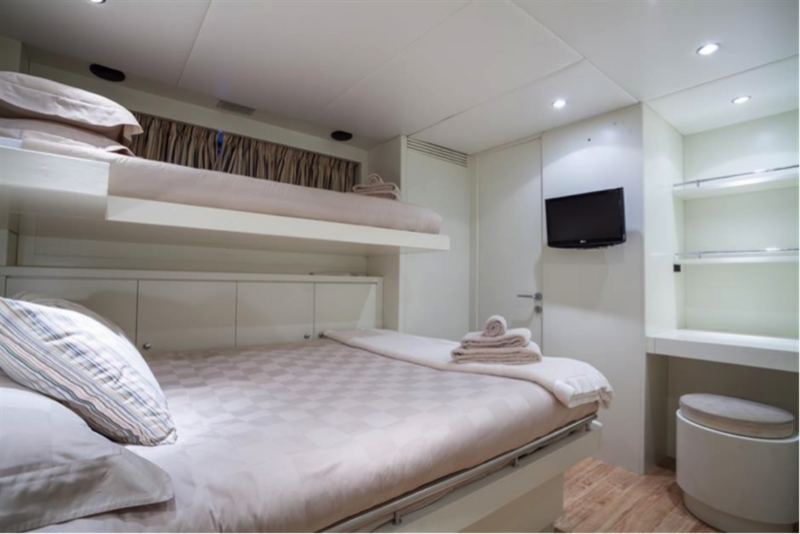 All cabins have full en suite facilities. 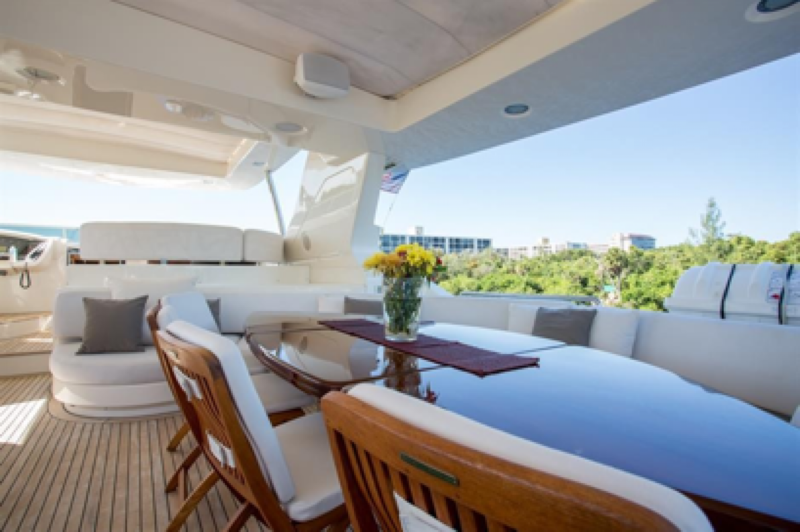 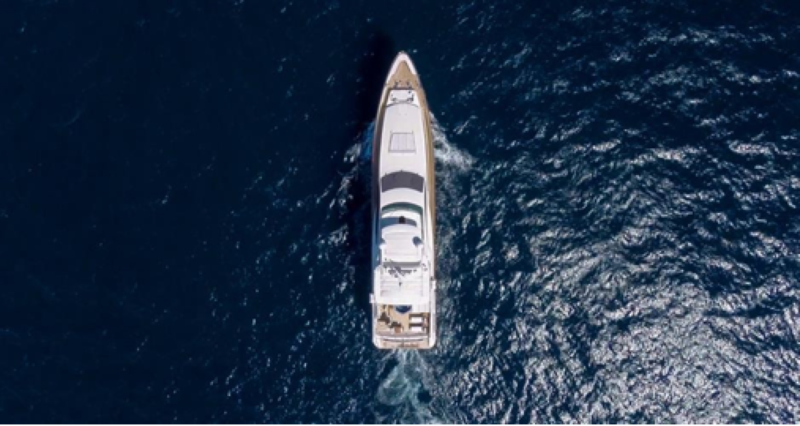 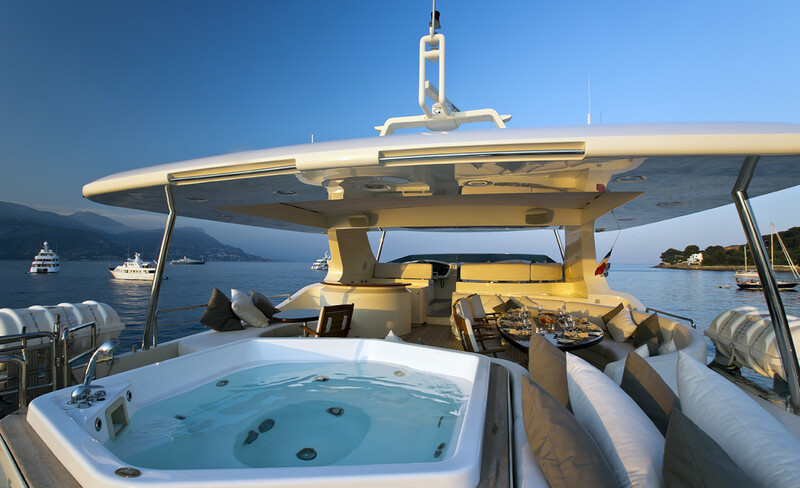 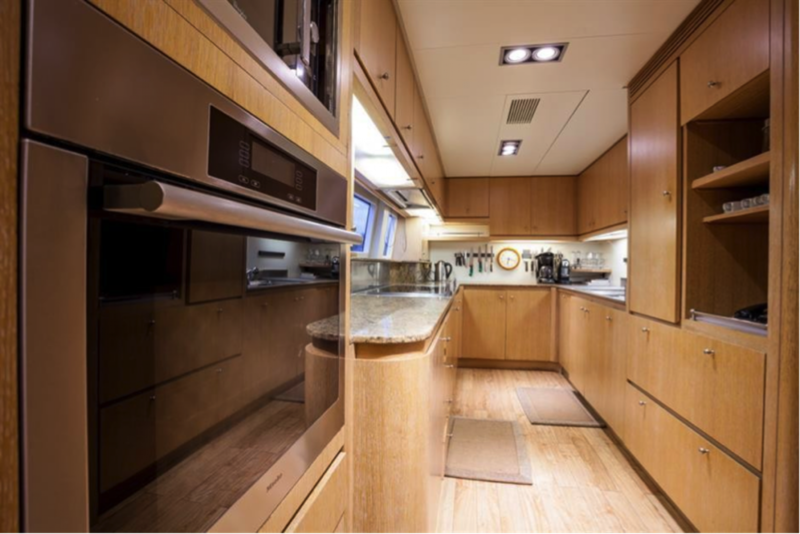 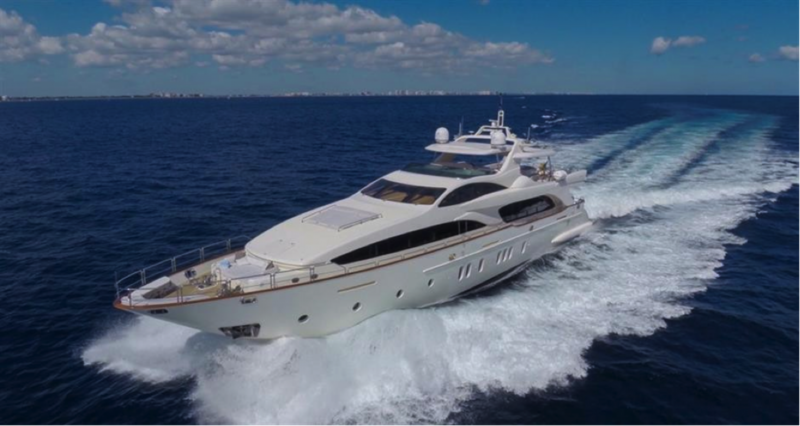 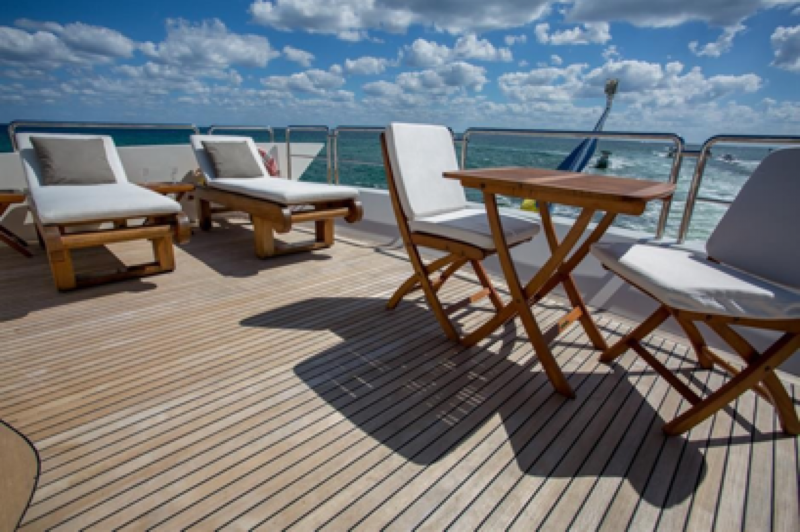 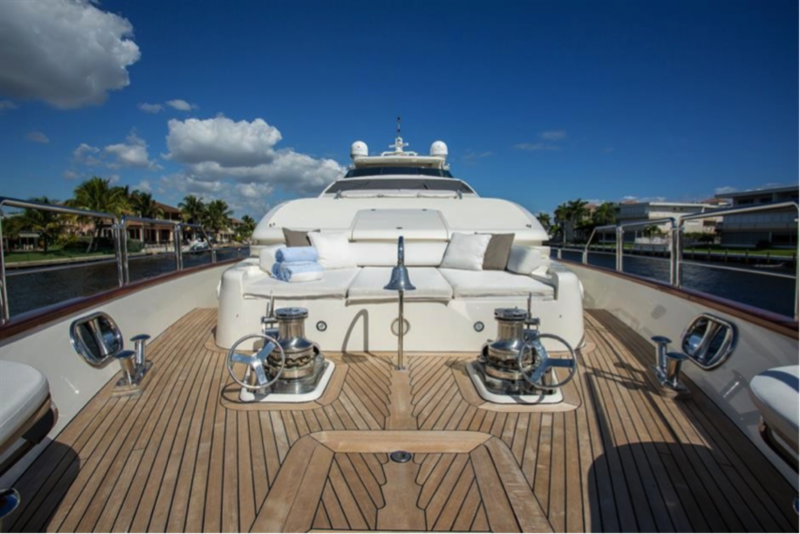 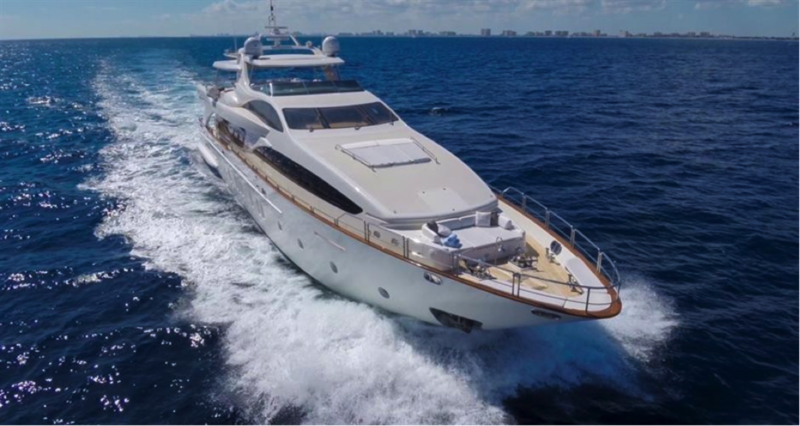 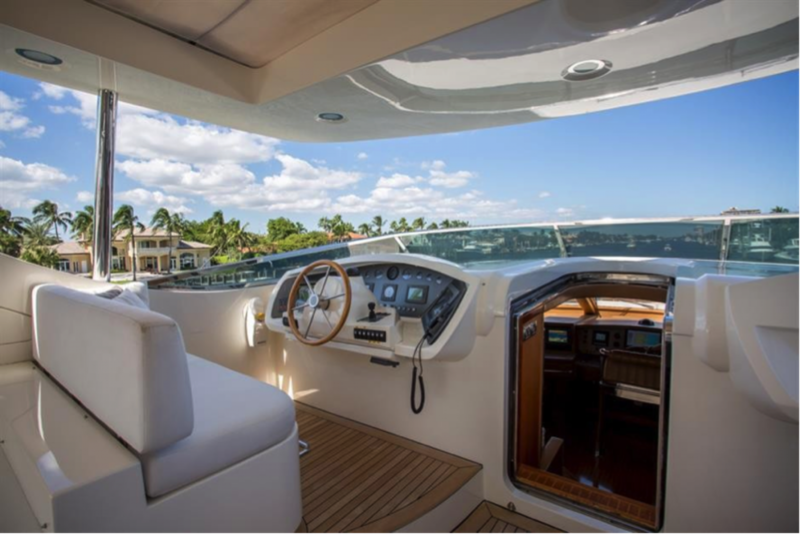 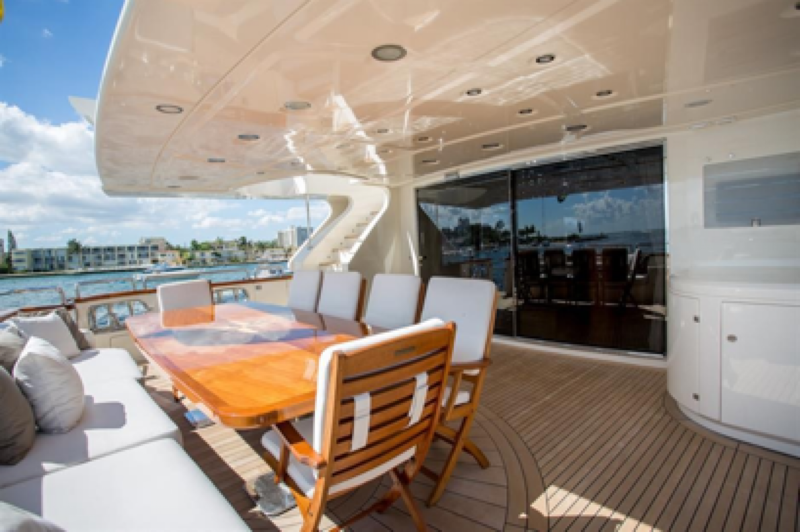 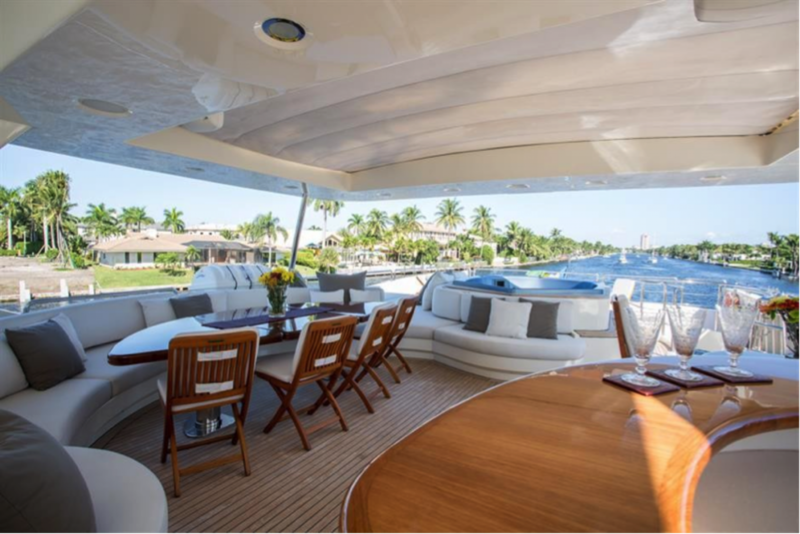 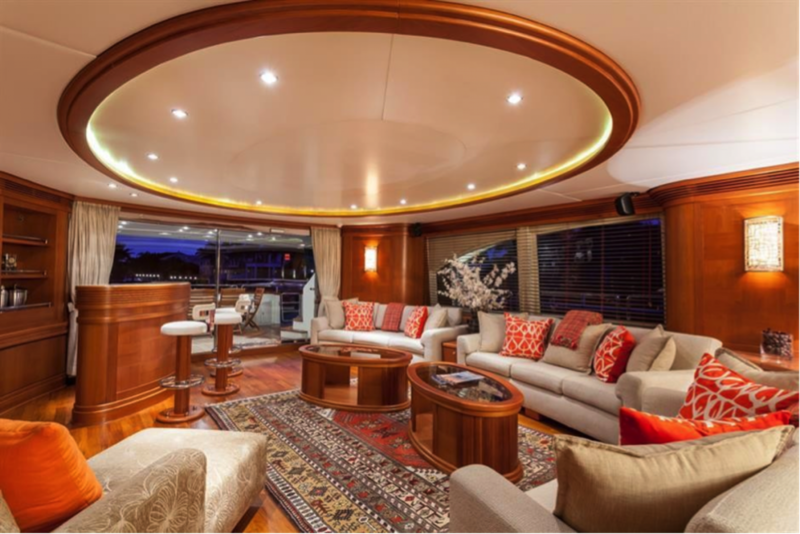 Lovers of the outdoors will enjoy the vast aft deck with a custom teak table, seating for 12, a wet bar, fridge and a 19 inch flat screen television. 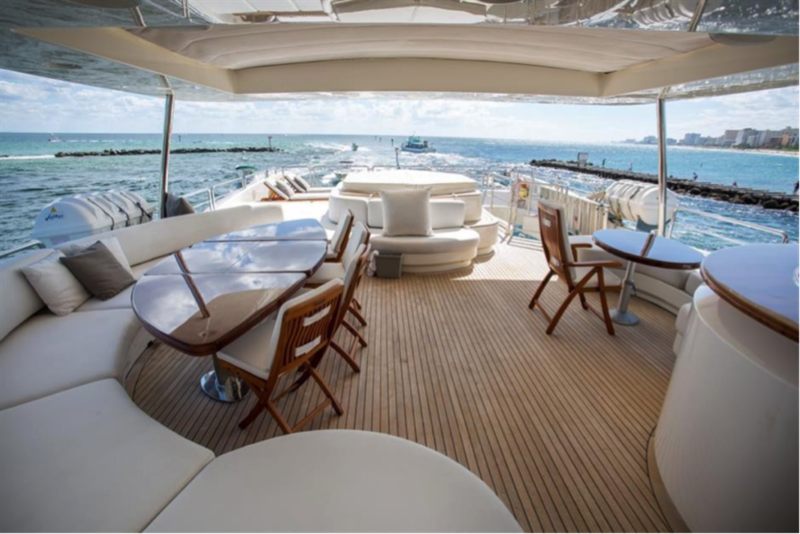 More al fresco entertainment is available on the flybridge which has a new Jacuzzi tub, wet bar, fridge, ice maker and teak lounge chairs. 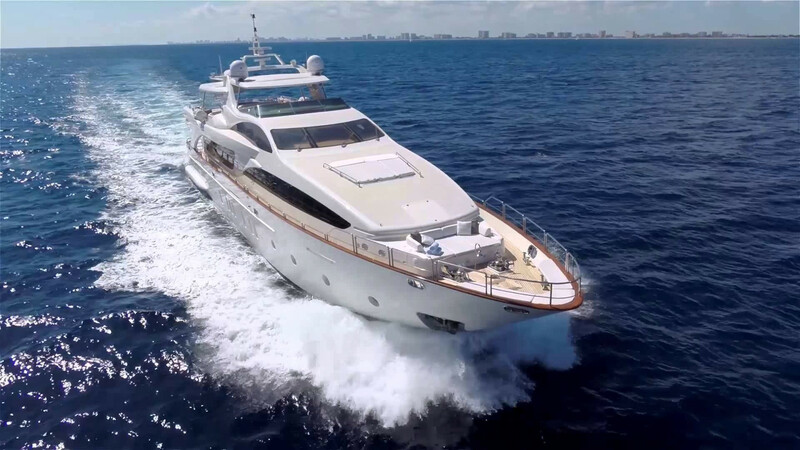 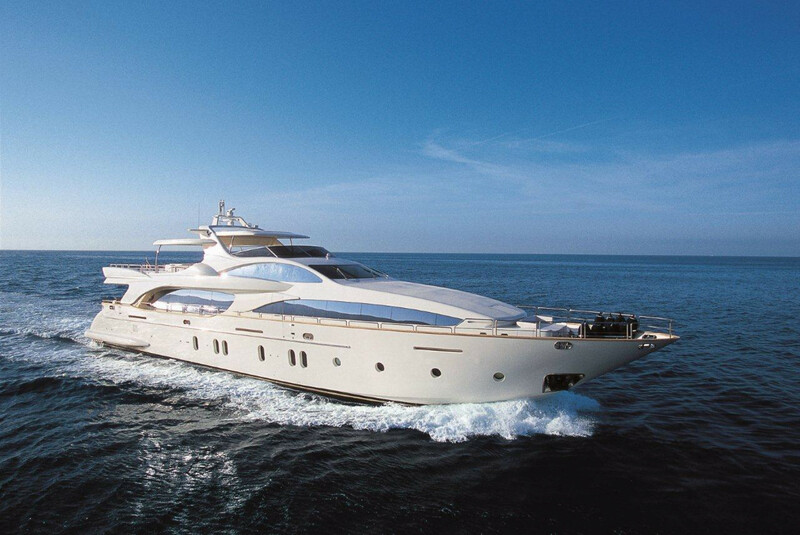 Twin 2,400hp MTU engines give her a cruising speed of 18 knots.